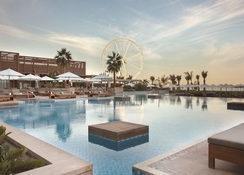 Rixos Premium Dubai is one of the most stylish urban hotels situated in the Jumeirah Beach Residence in Dubai. 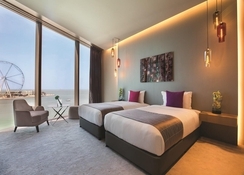 With spectacular views from the rooms overseeing the beach and the world’s largest Ferris Wheel – this luxury hotel welcomes guests from all across the world. The hotel enjoys close proximity to famous shopping malls like The Walk, Mall of the Emirates, Dubai Marina Mall and the buzzing highway of the city. 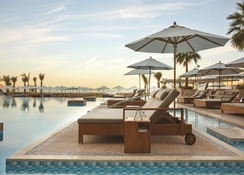 Rixos Premium Dubai JBR houses 414 luxurious suites and rooms and nine bars and restaurants, which have been carefully designed keeping the top-notch business entrepreneurs in mind. The rooms are well-equipped with state-of-the-art and tech savvy equipment’s. 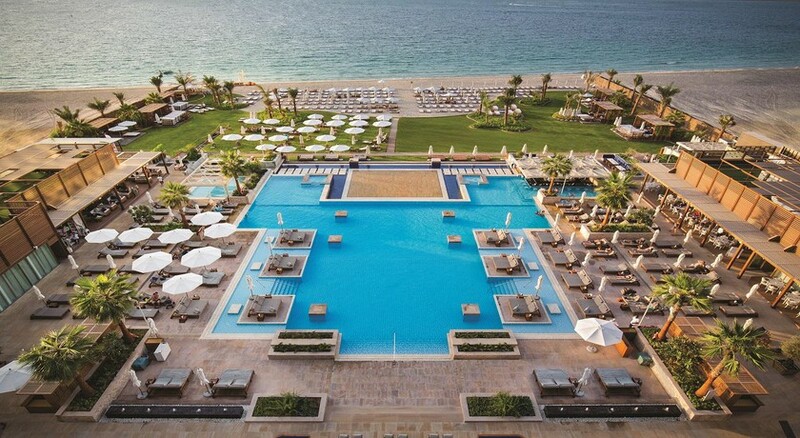 The Rixos Premium Dubai is conveniently situated in Jumeirah Beach Residence, The Walk - Dubai - United Arab Emirates. The Jumeirah Beach is only 25km from the hotel, making it convenient for the beach lovers and water sports enthusiasts alike. Those who have luxury shopping requirements can pay a visit to the Dubai Mall, which is about 25.3km. The Dubai International Airport, which is at a distance of 40km, is also not too far. 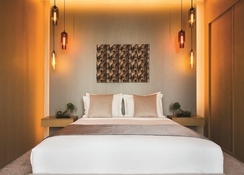 Rixos Premium Dubai features 414 spacious rooms and suites, where you can enjoy enthralling floor-to-ceiling views of the sky scrapers in Dubai and the Arabian Gulf. The rooms are categorised as deluxe room, premium room, deluxe family suite, deluxe one-bedroom suite, premium one-bedroom suite, premium two-bedroom suite and limited edition crystal suite. Some of the room amenities include LED TV, internet, telephone, dining table, en-suite bathroom with a standalone shower and a bathtub, complementary welcome amenities, Espresso Machine and much more. There are eight appetizing bars and restaurants to choose from that include Turquoise Restaurant, Black Tap Craft Burgers & Shakes, STK Restaurant, Azure Beach, Riviera Seafood Beach Grill and Luigia Ristorante. Those who want to drink will not be disappointed either, as there are plenty of bars in the hotel that include Inner City Zoo, Crystal Lounge and Lock, Stock & Barrel. 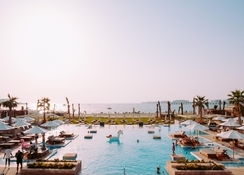 Rixos Premium Dubai is a great place to stay, especially for the water sport enthusiasts, as the Sky and Sea Adventures Dubai is only 400 metres away. It offers the most fun-filled water sports such as parasailing, donut ride, fly board, jet ski, wake board, fly fish and many more motorised and non-motorised sports. Guests can maintain their fitness level by stepping into RixGym Fitness Centre, where you will find free weights, treadmills, bicycles and marvellous unobstructed views from the floor-to-ceiling window. Those who want to revitalize themselves can go to the Natureland Spa, where you can take a pleasurable journey of deep cleansing, rigorous exfoliation, purification and detoxification to make you feel completely relaxed and leave your skin fully nourished.